It's the comic book for which every fan of 'Casper the Friendly Ghost' has been waiting! 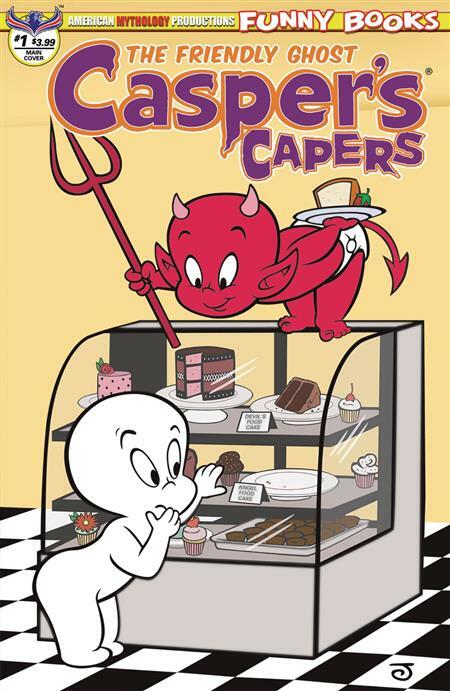 Casper Capers #1 breathes new life into some of Casper's greatest, classic adventures, beautifully illustrated by Warren Kremer and now newly-remastered for the first time in brilliant, digital color. No more yellowed paper, no more four-color process dots, no more sloppy coloring that bleeds outside of the art lines! And not only is the art breathtakingly sharp, clean, and colorful, but our first issue features the first-ever appearances of Wendy, Spooky, Hot Stuff, and Casper himself from his very first story, reprinted here in its original color format from 1949! You'll get 6 complete stories as you've never seen them before in this historic, first issue! Casper Classic Capers #1 comes with two covers - Main by Jeff Scherer and Vintage Limited Edition by Warren Kremer.